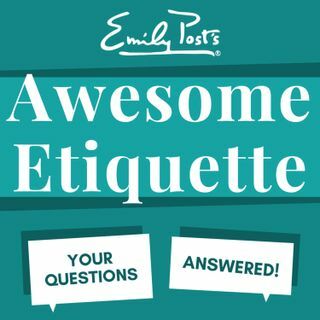 We take your questions on double invitations, buying gifts for the boss, eye contact etiquette, interrupting your server while they read specials and a question about stationery as a gift. Plus your feedback, etiquette salute and postscript segment from on working the room. For Awesome Etiquette sustaining members your extra question is about how not to have a bridal party.